Lenovo has used MWC 2019 as a platform to launch a wide range of new PCs, devices, and accessories. 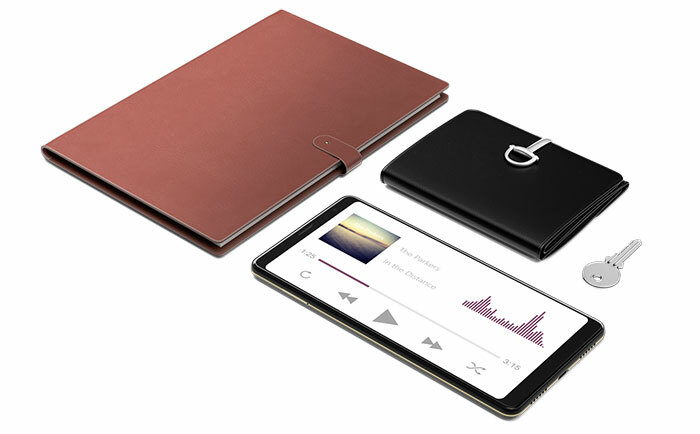 Highlights of its plethora of product announcements include; new ThinkPads, new IdeaPads and IdeaCentres with a choice of AMD or Intel chips, the ThinkVision portable USB-C monitor, various headphones, and the new Lenovo Tab V7 7-inch "tablet-and-smartphone-in-one". Availability of the ThinkPad T490s is expected to start in April 2019 at €1099 excluding VAT. Availability of the ThinkPad T490 is expected to start in March 2019 at €969 excluding VAT. Availability of the ThinkPad T590 is expected to start in March 2019 at €949 excluding VAT. Availability of the ThinkPad X390 is expected to start in April 2019 at €999 excluding VAT. Availability of the ThinkPad X390 Yoga is expected to start in May 2019 at €1149 excluding VAT. The IdeaPad and IdeaCentre ranges are aimed at students, young professionals, and families. Broadly there are two new IdeaPad laptops, the IdeaPad S540, and the IdeaPad S340 - but both are available in 14- and 15-inch screen versions and a variety of colours. A full HD IPS display and Dolby Audio speakers come as standard. Lenovo's new IdeaPad S540 features an ultra-slim all-aluminium chassis. Inside you can choose from up to the latest 8th Generation Intel Core i7 processor with up to NVIDIA GeForce MX250 GPUs, or up to an AMD Ryzen 7 3700U mobile processor with Radeon RX Vega 10 graphics. Users benefit from up to 12 hour battery life with 'RapidCharge tech to give you 2 hours more use from 15 minutes charging. The new IdeaPad S340, which shows off an even slimmer and lighter profile, is available with your choice of up to the latest 8th Gen Intel Core i7-8565U processor with up to NVIDIA GeForce MX250 GPUs, or the option of up to AMD Ryzen 7 3700U mobile processor with Radeon RX Vega 10 graphics. Built-in Amazon Alexa and Microsoft Cortana provide familiar AIs to do your bidding. The IdeaPad S340 models come in a choice of four colours. Lenovo was showing off a convertible too, as part of this range. The new IdeaPad C340 2-in-1 convertible laptop is a close cousin to the above S540 and S340 series (and again is available in 14- or 15-inch options) but adds Active Pen support. A new AiO machine dubbed the IdeaCentre AIO A340 will become available in black or white finishes and 22-inch or 24-inch Full HD screens with minimal bezels. Inside these PCs will be powered by up to an Intel Core i5-8400T processor with AMD Radeon 530 or integrated graphics, or up to 7th generation AMD A9-9425 processor with Radeon R5 graphics. Availability of the 14-inch AMD-based IdeaPad S540 is expected to start in April 2019 at €799 including VAT. Availability of the 14-inch Intel-based IdeaPad S540 is expected to start in March 2019 at €899 including VAT. Availability of the 15-inch Intel-based IdeaPad S540 is expected to start in April 2019 at €899 including VAT. Availability of the 14-inch and 15-inch AMD-based IdeaPad S340 is expected to start in April 2019 at €549 including VAT. Availability of the 14-inch and 15-inch Intel-based IdeaPad S340 is expected to start in March 2019 at €599 including VAT. Availability of the 14-inch AMD-based IdeaPad C340 is expected to start in April 2019 at €599 including VAT. Availability of the 14-inch and 15-inch Intel-based IdeaPad C340 is expected to start in March 2019 at €599 including VAT. Availability of the 22-inch AMD and Intel-based IdeaCentre AIO A340 is expected to start in March 2019 at €499 including VAT. Availability of the 24-inch Intel-based IdeaCentre AIO A340 is expected to start in March 2019 at €599 including VAT. 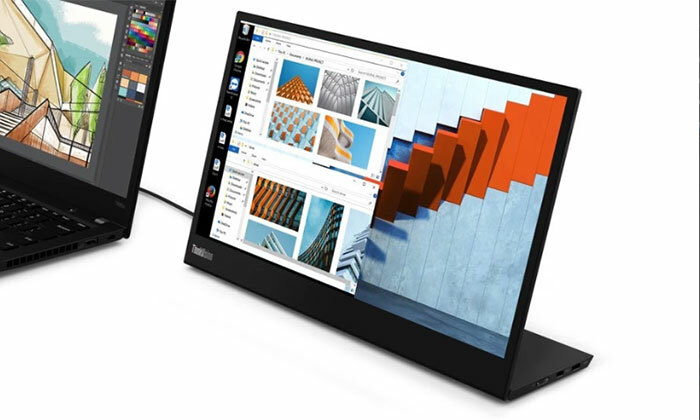 Lenovo's ThinkVision M14 mobile display is a Full HD 14-inch IPS 300-nits display which connects to your PC via USB-C. It uses two such ports which can act as pass-through ports if connected to AC power and charge your laptop, or you can simply connect and use as a second screen. This device is very portable at just 4.6mm thick and 590g. It will become available in June for €229 including VAT. 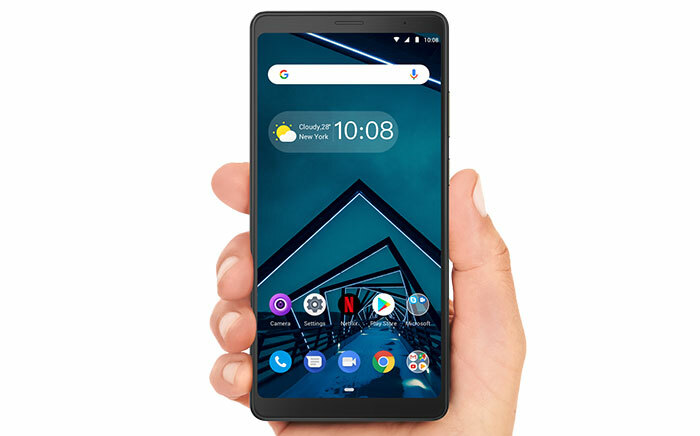 Other attractions of the Tab v7 are its Dolby Audio, the dual built-in front-facing speakers (a good use of the now unfashionable bezels), dual-SIM connectivity, thin and light nature (7.9mm and 195g), a 5180mAh battery for up to 10 hours of local video playback and browsing time, front and back cameras (5MP and 13MP), and fingerprint reader. Lenovo puts forward the idea of using the Tab v7 as a kids tablet, on-the-go entertainment device, and spare mobile phone. It will become available in April, price at around €249 including VAT.